Karibu Loo has grown! We now have over 80 loos, and recent grads of our program helped prepare our new storage facility. Robert, John, Shammath, Martin, Wycliff, David, Wycliff, Duncan and Leonard worked hard, and some made $12 on the project – enough to pay for half a month’s rent. Plus they got a hearty lunch each day they worked and helped to move the mission of helping to educate children forward. Thanks guys! Throwback Thursday to Basil Serete’s story. He grew up in a family of 4 as the only boy. 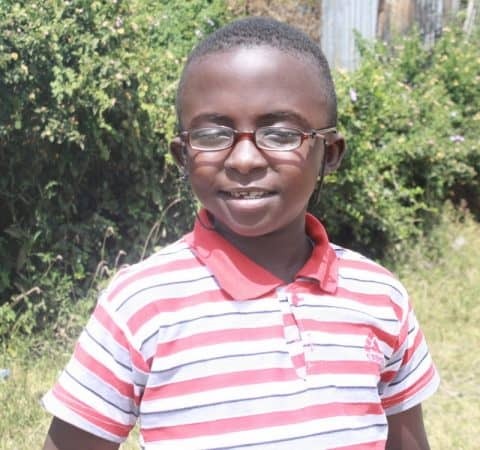 Before joining Ngong Road Children Association, Basil had attended more than 7 schools as school fees became too difficult to pay at each. In 2009, his mother learned about the NRCA program, and Basil was accepted into the program because of the generosity of his sponsors, Tom and Gillian. Thanks to his sponsors and the stability of the program, Basil graduated from high school this past December and he is now a wonderful young man with interests in civil engineering or business. We are proud of you, Basil! Irene joined our program when she was 12 and soon after learned that she had a hole in her heart. Our staff brought her to Kenyatta hospital, where a visiting group of heart physicians were practicing. They repaired her heart for a minimal cost, and Irene is thriving today! 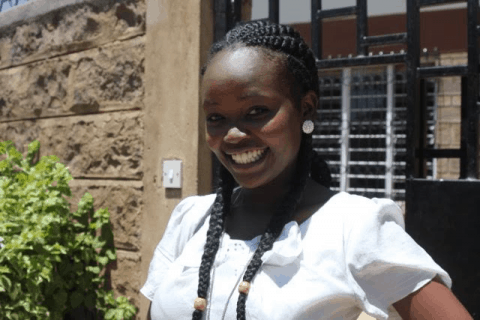 With the support of her sponsor Rochelle, Irene recently completed her post-secondary education at Mountaintop College and has been hired as a receptionist at a micro-finance agency. Irene’s transformation is incredible. We are proud of you, Irene!